Join us and Earn Extra Money. Collect your Profit every month. 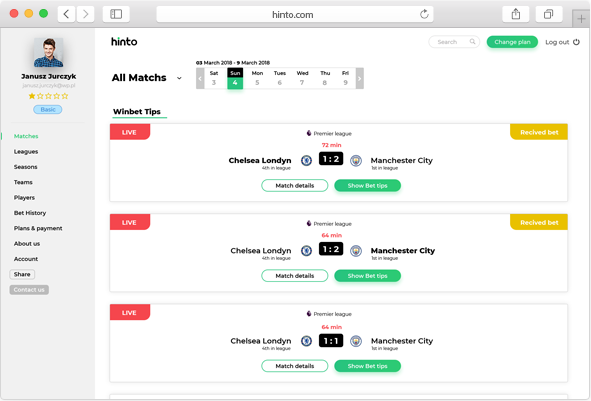 Hinto reads sports data in a totally new way - using Big Data and Artificial Intelligence. 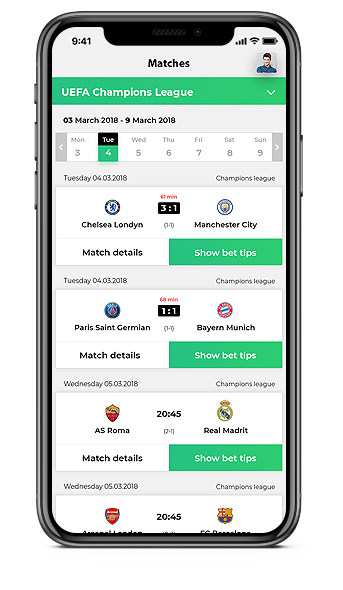 Tips are based on a unique algorithm to secure your chances of winning. 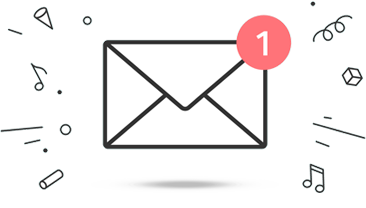 Stick to our tips and earn money every month or get your subscription fee back. Did you know that 95% of the players lose money on bets? 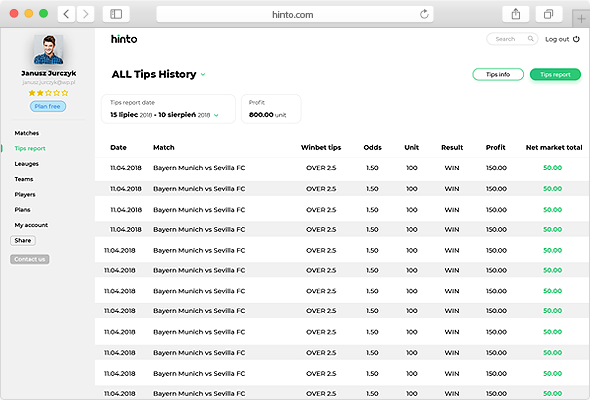 Hinto is the only tool that gives large profits on a monthly basis. It’s an easy to navigate platform, even for beginners. I watch football matches fanatically. I also invest on stock-exchange. When Paweł said that he knows how to make money on bets and showed me the results I was mesmerized. It works better than most financial tools. I created Hinto,. It is the resulting of refining the algorithm to perfection. 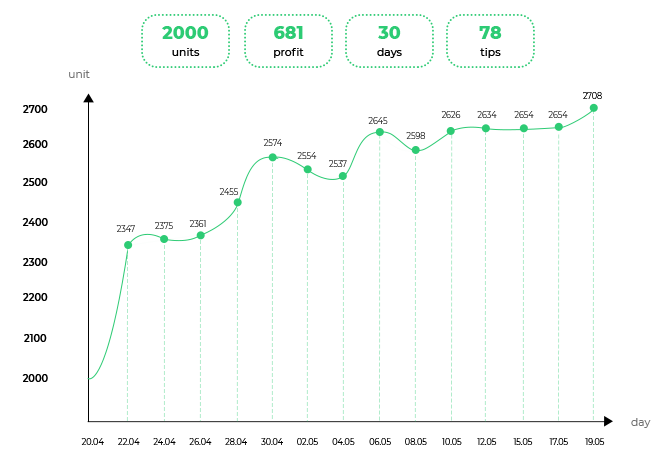 Our years of work have brought the desired effect. Hope you feel pride and joy from making money on what you love. 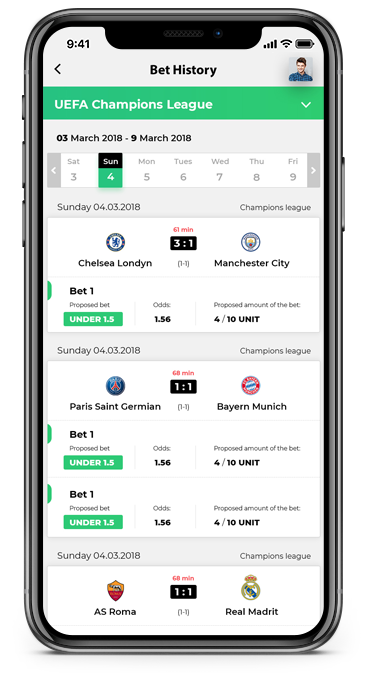 I have used many apps and bet on sports but there was always something wrong. Hope Hinto brings you smooth experience. 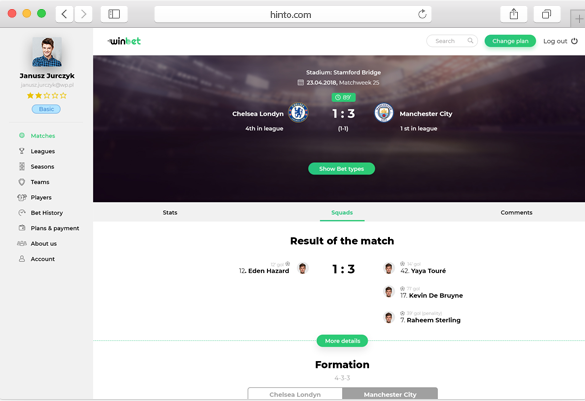 Hinto is a result of the long-term team work on statistical data. We developed an innovative approach towards Statistics. So far unknown to the world of Sports Betting. We worked to refine the algorithm to perfection and after many years of dedicated work the result is astonishing - 98% effectiveness rate. Space Digital Group is a team of IT experts, mathematicians, Artificial Intelligence and Big Data specialists and last but not least - football passionates. Now it’s simple to make money on what you love. To secure your chances of winning - just follow the steps and bet according to our Tips.